Comments: Students enrolling in the Computed Tomography (CT) course must already be ARRT registered or registry-eligible in Radiography, Nuclear Medicine Technology, or Radiation Therapy. Upon successful CT course completion, students may be eligible to sit for the ARRT CT exam. This course includes a combination of face-to-face, online, and clinical instruction. Criminal background check ($40-$50), drug screen ($35), and current immunization records are required and these charges are not included in the course registration fee. Course registration fee: $201.50. Comments: NO CLASS: JULY 1ST, JULY 3RD. REGISTRATION FEE IS $223.50. BRING PHOTO ID, SOCIAL SECURITY CARD, DIPLOMA/GED, AND IMMUNIZATION RECORDS TO FIRST DAY OF CLASS. FOR FURTHER INFORMATION ABOUT COURSE AND REQUIREMENTS GO TO SCC WEBSITE (FUTURE STUDENTS, CONTINUING EDUCATION, HEALTH OCCUPATIONS, PHLEBOTOMY). MUST HAVE A MINIMUM OF 8 STUDENTS TO HOLD CLASS. IF CLASS IS CANCELLED STUDENTS WILL BE NOTIFIED VIA PHONE OR EMAIL AND A FULL REFUND WILL BE PROCESSED BY THE BUSINESS OFFICE. CONTACT DANA CRAVEN AT 704-991-0342 OR DCRAVEN5309@STANLY.EDU FOR FURTHER QUESTIONS. Comments: NO CLASS: JUNE 12TH, JUNE 19TH, JULY 1ST-4TH REGISTRATION FEE IS $202.50. ORIENTATION MONDAY MAY 20TH AT 9A IN EDDINS BUILDING ROOM 104. BRING PHOTO ID, SOCIAL SECURITY CARD, DIPLOMA/GED, AND IMMUNIZATION RECORDS TO ORIENTATION. 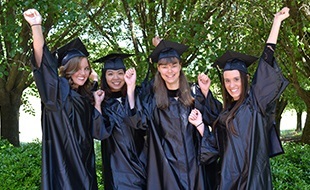 FOR FURTHER INFORMATION ABOUT COURSE AND REQUIREMENTS GO TO SCC WEBSITE (FUTURE STUDENTS, CONTINUING EDUCATION, HEALTH OCCUPATIONS, NURSE AIDE LEVEL I). MUST HAVE A MINIMUM OF 7 STUDENTS TO HOLD CLASS. IF CLASS IS CANCELLED STUDENTS WILL BE NOTIFIED VIA PHONE OR EMAIL AND A FULL REFUND WILL BE PROCESSED BY THE BUSINESS OFFICE. CONTACT DANA CRAVEN AT 704-991-0342 OR DCRAVEN5309@STANLY.EDU FOR FURTHER QUESTIONS. Comments: NO CLASS: JUNE 12TH, JUNE 19TH, JULY 1ST-4TH. REGISTRATION FEE IS $202.50. ORIENTATION MONDAY MAY 20TH AT 9A IN EDDINS BUILDING ROOM 104. BRING PHOTO ID, SOCIAL SECURITY CARD, DIPLOMA/GED, AND IMMUNIZATION RECORDS TO ORIENTATION. FOR FURTHER INFORMATION ABOUT COURSE AND REQUIREMENTS GO TO SCC WEBSITE (FUTURE STUDENTS, CONTINUING EDUCATION, HEALTH OCCUPATIONS, NURSE AIDE LEVEL I). MUST HAVE A MINIMUM OF 7 STUDENTS TO HOLD CLASS. IF CLASS IS CANCELLED STUDENTS WILL BE NOTIFIED VIA PHONE OR EMAIL AND A FULL REFUND WILL BE PROCESSED BY THE BUSINESS OFFICE. 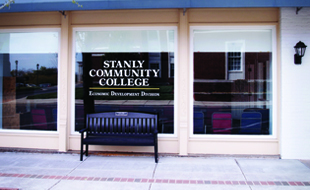 CONTACT DANA CRAVEN AT 704-991-0342 OR DCRAVEN5309@STANLY.EDU FOR FURTHER QUESTIONS. As our population grows and matures, we encounter the challenges of maintaining proper healthcare for all ages. 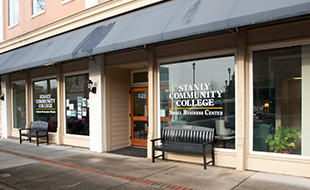 SCC provides excellent preparation for employment and/or state and national certification exams. Click on a course or program title to see more specific information about these classes.